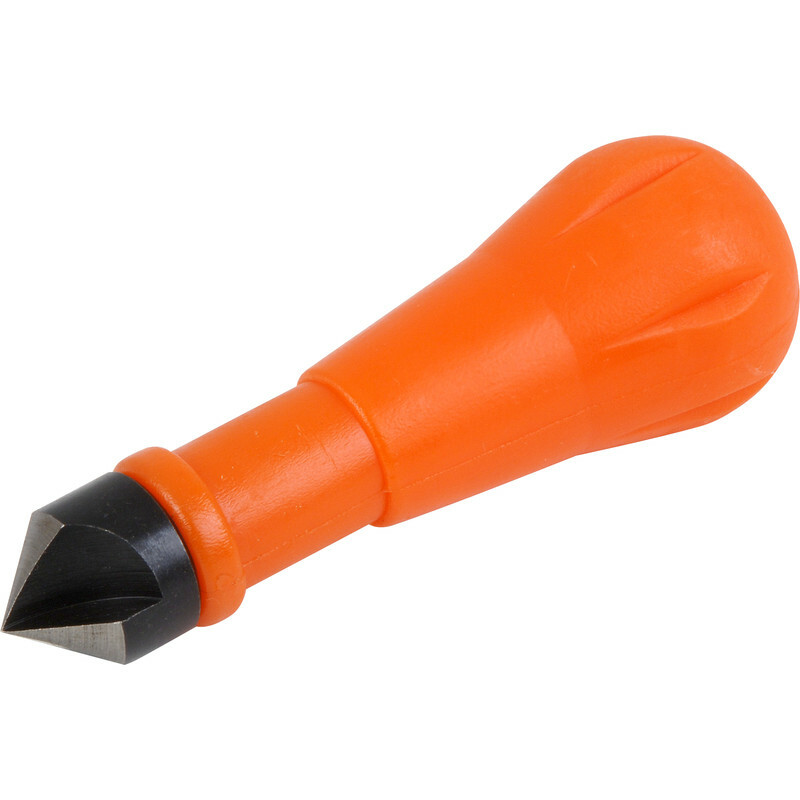 Chunky plastic handle with hardened steel 90° countersink. For wood and plastic. Hand Countersink is rated 3.7 out of 5 by 7. Rated 1 out of 5 by Arnie 2 from Junk Mine came ground in such a way that the end was a simple cone, no cutting edge relief angle at all. You could spin this in a hole all day and get nowhere. Rated 3 out of 5 by Anonymous from Ok for wood and plastic. It says it on the description. So should not have even tried. I used the item on some all, chewed the bit up horribly. My fault, but shoes the metal is of very poor quality. Is very cheap though. Rated 5 out of 5 by Osbert1 from Sturdy tool, good price. Bought this when renovating doors to countersink door frame to accept striker plate screw holes. Does the job. Rated 5 out of 5 by Castie from Works well. Handy piece of kit. This is a great item and so handy. forever losing the drill-based countersink bit!!! It really works well. Rated 5 out of 5 by argybargy from Useful tool Saves getting the drill out !